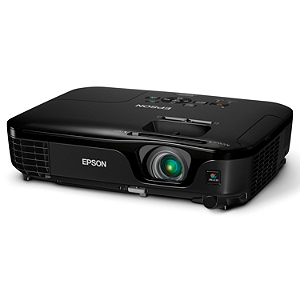 The EX5210 breaks the mold for portable business projectors, delivering spectacular image quality and ease of use. 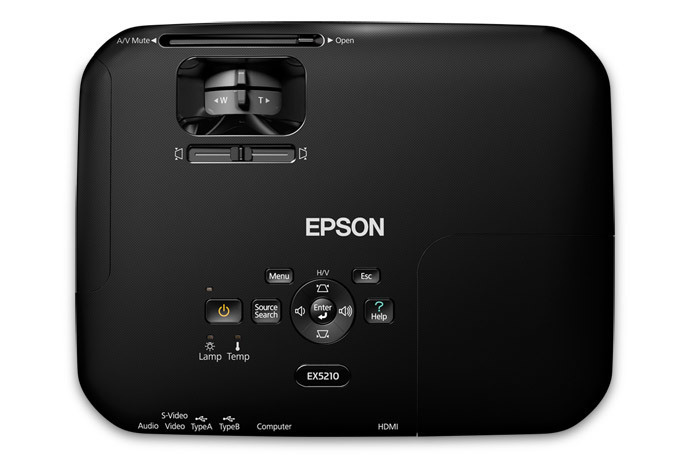 The ultra-bright 2800 lumens of color brightness (color light output)1 and 2800 lumens of white brightness (white light output)1, sharp XGA resolution and 3LCD, 3-chip technology transform presentations into brilliant masterpieces with precise detail and true-to-life color. Breakthrough horizontal image correction with easy-slide technology and USB Plug ‘n Play instant connectivity make setup fast and easy, while HDMI connectivity delivers stunning HD entertainment and media. The PC-free slideshow function lets you project JPEG files, without a computer, from any USB thumb drive. Whether in the conference room or on the road, the EX5210 delivers the performance and functionality you need for success at every level.